The Twin Captains Bed provides loads of storage while taking up very little space. The headboard can serve as a nightstand with shelving to store books, remotes, a lamp and more! 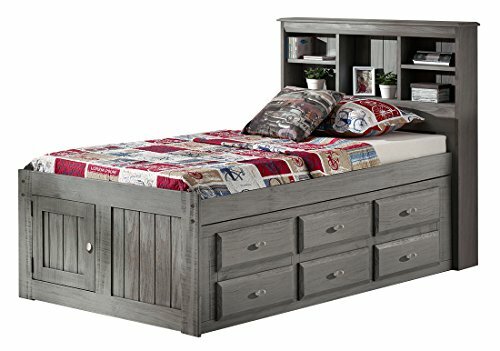 With three different options for under the bed; a six drawer unit, a three drawer unit with trundle, or twelve drawers, the Captain's bed is extremely functional. If you have any questions about this product by Discovery World Furniture, contact us by completing and submitting the form below. If you are looking for a specif part number, please include it with your message.